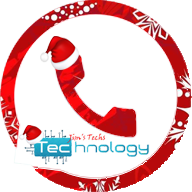 WhatsApp plus JiMODs v6.00 Jimtechs Editions messenger is a FREE messaging application available for Android system only. This application works on your different phone’s Internet connection: 4G, 3G, 2G, EDGE and WiFi. In addition to that, It lets you message and call your friends and family without any additional cost. Moreover, Using “WhatsApp plus” messenger will allow the user share the photos, videos, documents, and Voice Messages with anyone. COLORFUL : Basically it can be customized where you can change colors, sizes, and many other things. EXTRA UPLOAD LIMIT : In addition, you can increase upload media limit (stock limit is 16 Mb) to send large music files or videos. FULL IMAGE QUALITY: The quality of the image increases while sending (the original one decreases it). AD FREE : No ads as the original “WhatsApp”. QUICK SHARE : You can share music in one click. WATCH STATUS : You can directly watch status in the chat screen when you are chatting. HIDE PROFILE PICTURE : You can hide contact profile pictures and show phone-book pictures (in chat screen). LOAD OF THEMES : Built-in theme viewer and download. Check WhatsApp+ users themes online and apply any theme you prefer. Based on 2.17.351 ( Play Store ). Privacy mods: Hide the “Last seen”. Added more docs file support pdf, xls, txt, doc, ppt, vcard, xlsx, txt, rtf, docx, pptx ,and zip. 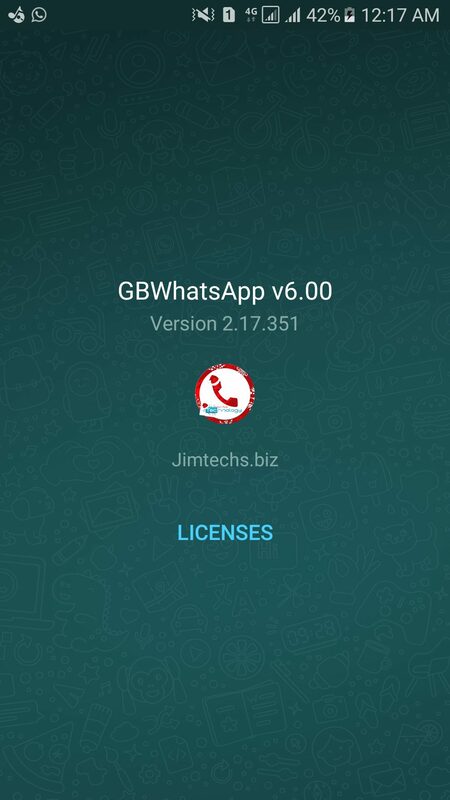 How to Install WhatsApp plus JiMODs v6.00 Jimtechs Editions ? Uninstall any previous version if it’s installed. Download “WhatsApp plus JiMODs apk”. Put your number and activation. Enjoy the brand new “WhatsApp plus JiMODs”. hlo bro thx update the whatsapp ppz fix the converation tone plz sir. thx advance jim. Pin chat is not working in hideChat window. Hey jim great work. But Live location is not getting sent. And also headsup notification is not getting disabled. Great job Jim. New update 6.22? yup no one can revoke a sent message from your phone ? give me more detail it work perfectly ? Hi, I experience contact import issue. My contacts are not seen, even with permission activited. Any idea? Regards. Thanks for reply but doesn’t change anything. WA says contact list is updated but no more contacts appear excepted “add new group”. What is Enable Anti revoke? Great work bro.. Only issue is Contacts not syncing..
Hey Jim there is a fault to the hidden chat. If you go directly to someone name in your contact list and click on the message option it goes directly to the hidden chat without the need to use a password in WhatsApp. Can you take a look into this please. And thanks so much for the great work. Every time I download and want to install this version, it tells me that *application not installed*. Please assist. It does not stop updating the application and I have always been able to update it well, it puts me … There is a conflict between the package and another package with the same name. What should I do? Stop Conversation Msg Tune. thx again jim bro. i tried it a few times to back up 5.9, deleted it, installed 6.0 every time the same. are you installing the same package name and giving the app it permission to access your sd ? Firstly I want to say a big Thank you Jim for your hard work. I have been using this modded app for well over 4 years or longer. Secondly, guys please read the previous comments before asking your question because alot of times your question is already answered so please read. 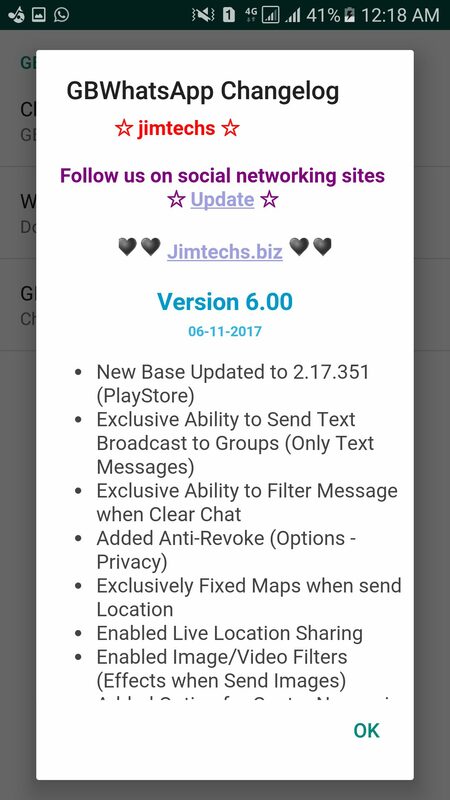 Jim, for the next update please include emoji changer. I would appreciate it. Thanks. Hey admin ! Just add a feature of adding groups in broadcast list after creating a list. Now we can only add groups in broadcast list but can’t add groups in broadcast list after creating a broadcast list of groups .just add this …. Hey Jim Everytime I upload a video on my status the video quality is dropped, why is this happening, is it something wrong with my phone or is it something else? Great work, using whatsapp+ for more than a year now.. its getting better with versions and update.. great job man..
Hey Jim, Thank you for your hard work!